About 8 to 10 weeks after planting, your cabbage will be ready to pick. (It may take a little longer if planted in the fall in the far southern states.) You can harvest your cabbage anytime after the head has formed. Sometimes the cabbage head looks ready but isn’t. Squeeze the head to see. Does it feel loose on the inside? If so, leave the cabbage to grow a little more. When you squeeze the cabbage head and it feels solid and firm, it’s ready. Ask an adult to cut off the cabbage head for you. Don’t leave the cabbage head too long in the garden after it’s ready. The head could crack or split. If this happens, ask a grown-up to cut off the head immediately. 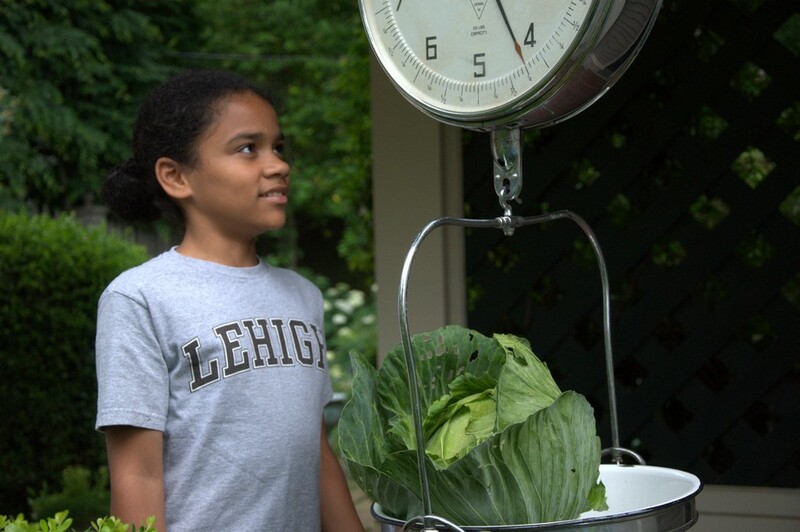 When harvesting, remember to ask a grown-up to take a photo of you with your cabbage, and to weigh it. You’ll need to give this info to your teacher.